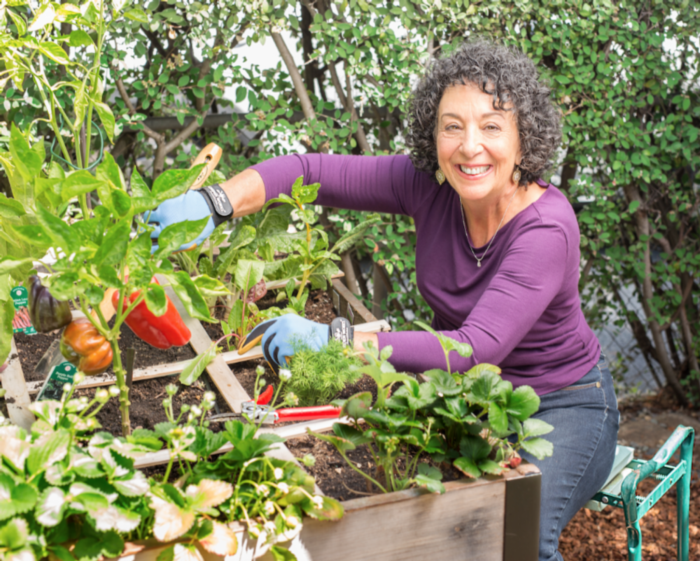 Gardeners have special challenges as we age and develop restrictive health and body issues. With a few modifications we can still enjoy puttering in the garden, leaving the heavy work to paid help. Here are a few of my favorite tools and tips. Work in one hour spurts when your energy is at its best, early morning perhaps. Rest for a few minutes in the shade and drink water. Use a kneeling bench to protect the knees and provide arm support for standing back up easily. These can even work on hillsides if positioned correctly. Wear a wide brimmed hat, long sleeves and protective sunscreen. Minimize tools in a tool belt: Good pruners, Hori Hori knife, and sharpener for sure. Use a retractable hose to avoid tripping over a long one.